Its signature trademark is not only the Café de Paris sauce but also the single menu that is promised to every diner at £26.50. 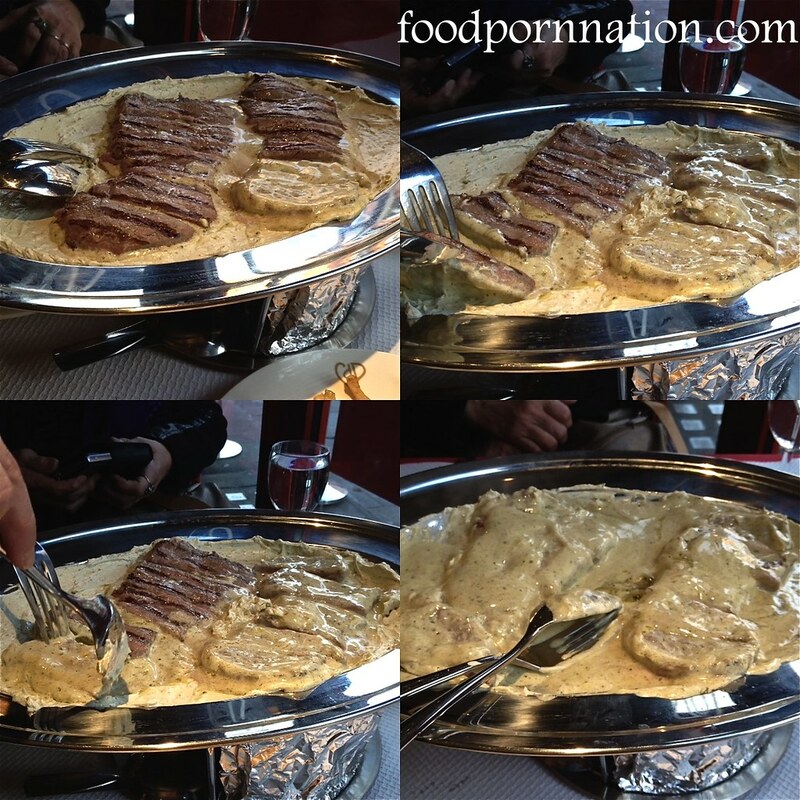 The butter sauce was made famous by then owned Arthur-François (Freddy) Dumont of Café de Paris. The birthplace of the butter sauce is commonly mistaken for Paris, France. However, it was actually conceived in Geneva, Switzerland by Dumont’s father in law, Mr Boubier inventor of the original butter sauce. It is considered a heavily guarded secret recipe enhanced with multiple spices, herbs and other ingredients. It is so guarded even the staff don’t know the ingredients!